With Microsoft’s Windows 10 Mobile OS continuing to be developed with new build, it seems like quite a good time to wonder what Microsoft’s hardware next step is would be. Sources close to Microsoft disclosed to windowscentral that the ‘Surface Phone’ by Microsoft will not be launched until sometimes 2017. However, the good news is that there would be around three variants for different pricing tiers and markets. 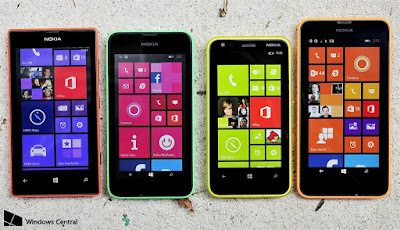 Development and improvement of Windows 10 Mobile is still taking place. Allowing OEM partners some space in order to create new hardware. Allowing Microsoft sometime to come back with stronger products, with something to attract market’s attention. While Windows 10 Mobile has significantly gone on to improve their latest 1058.164 release aka the ‘production build’ the OS still have a long way to go before it can truly competitive in the consumer market. The two major update - Redstone 1 for summer 2016 (which is now called the Anniversary Edition) and Redstone 2 for spring 2017, will contribute a lot of polish to the OS as well as to its new features which includes deep integration with Windows 10 for PC. Microsoft is also encouraging its OEM partners to come on board with Windows 10 Mobile and Microsoft’s retrenching means that the company will not need to compete with the same manufacturers. As of now, there is no new Lumia’s lined up for release by Microsoft; in fact it seems that the Lumia line is being phased out indefinitely. Instead it seem that Microsoft wants to start a new line of hanrdware in 2017, when it will have more robust mobile OS and the right, groundbreaking hardware to display. Seemingly is also means that the company is removing Lumia for its all new brand. However, we yet do not know what Microsoft is exactly planning. None of this is particular new as according to the recent news by Mary Jo Foley, over at ZDNet, Redstone 2 has been pushed back to spring 2017 in order to line up with the new Windows 10 devices which are being launched by the company. This pushback is mainly due to the new hardware which are being readied and not the OS which is behind in the development. Mary Jo Foley, also notes in the same article that the Intel’s next – gen processor family dubbed 'Kaby Lake' will not be available until the end of 2016, and Microsoft might want to take their time this round of the devices, in order to avoid issues which they had faced with the Skylark family. This means that, Microsoft may not launch Surface Pro 5 or Surface Book 2 until early 2017; however a non-pro Surface 4 might be launched this year. However, according to some sources, it seems that Microsoft might add ‘Surface phone’ in spring 2017, time frame. From a planning perspective, all this would to bring together one high-profile hardware as well as software announcement from Microsoft, which might be similar to Windows 10 Device event in late 2015. It would be completely amazing. In an interesting twist and tying in with no new Lumias news, Microsoft it seems is doubling down into the concept of Surface phone. According to some familiar sources the company is planning on further discussion for three new surface phone models. There are no details yet about the exact categories which would separate the devices, but is seem most likely that the company will focus on features and various price points. Of course, variations in processors, internal storage, and other features could be part of the differentiation. The one substitution is that Microsoft it appears will be vacating the low-end for general consumer device. The Surface line has never been for budget – conscious products, but instead premium ones, so it will be making more sense to realign the phone category too. It might be quite a good idea for Microsoft to give up on the low-end and budget phone market. There are numerous OEMs to pick up the slack which includes BLU and Alcatel, who have superior infrastructure in order to compete at those price points. It makes complete sense that Microsoft might be wanting to follow the Surface plan in order to reinvigorate phones just like it did for two-in-one PCs. Assuming any such Surface Phone- or line of Surface Phone – which goes through as planned, the question is what the company will bring to the table which is different for HP Elite x3. Microsoft will most likely launch its own Microsoft Pen technology, to the line especially after their recent announcement at the Build with 'smart inking' being open to all developer, along with their deal with Wacom in order to create a Universal Pen Framework (UPF). It seems that a pen-focused device is a guarantee at this point of time.